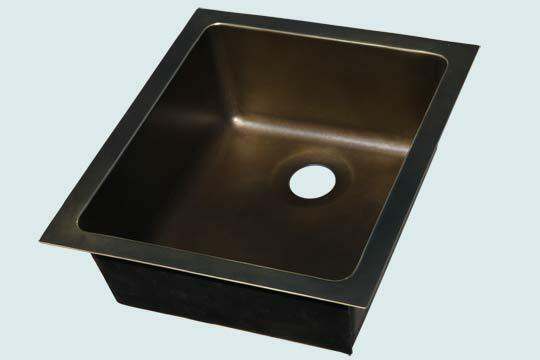 Custom Kitchen Sinks - #5232 | Handcrafted Metal Inc.
Price $1904 Free Shipping To US Lower 48 States! This simple undermount sink has a wonderful golden-brown color. It's made completely from 16 gauge bronze (naval brass), and is antiqued with our "Medium Patina" finish.